No railway goes through this Victorian station anymore, but it has been transformed into a historical tourist attraction. The line once ran from Longridge to Preston and in its earliest form, it didn’t have trains on at all. Opened in 1840, it was first used to move stone from Longridge’s Tootle Heights quarry to Preston, along a single line tramway. Intriguingly, only gravity was needed to pull the wagons down the tracks most of the way to Preston. Horses were used to haul them back up again to Longridge. In 1848 the line was converted to carry its first steam train. From these early days,pleasure trips were put on to bring workers from Preston out to enjoy the countryside of Longridge. 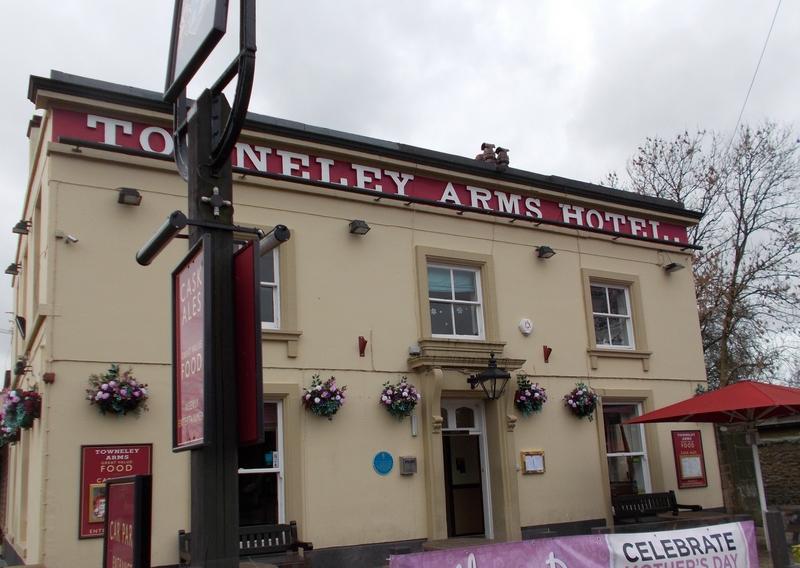 Where the station now stands was once railway sidings, and the present day Towneley Arms Hotel predates the station that we see today. A permanent station was built in 1872 and as we can still see, it butts up against the side of the hotel, which was also owned by the railway company. In 1930 the line and the station were both closed to regular passengers and became a goods line. Occasional “rail tours” special trains did run for passengers up until the 196os, but by 1967 the line closed forever. 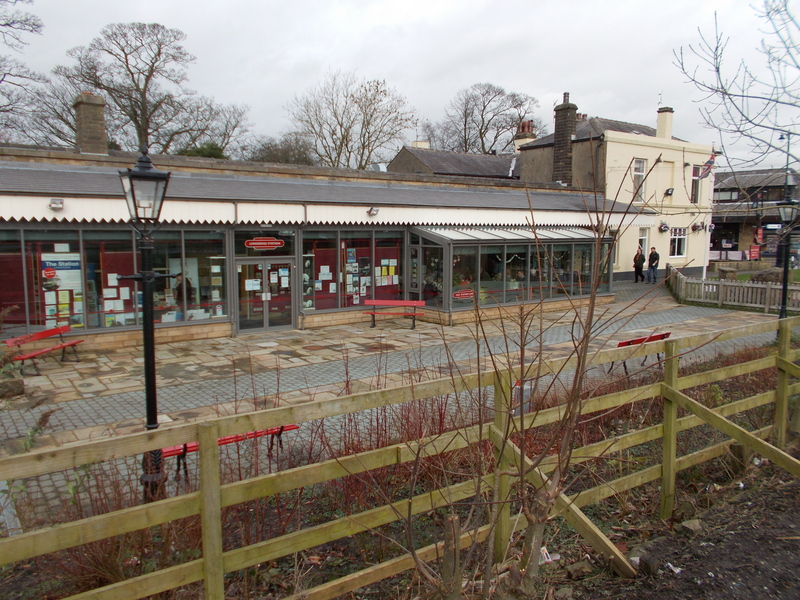 In 2010 with Heritage Lottery funding the station was reopened as a Heritage Centre and tourist destination. It now features a tourist information office, a town archive and a café selling specialist teas and coffees with intriguing names (as well as hot and cold food). The centre also hosts events, such as a regular artisan market for craft lovers. 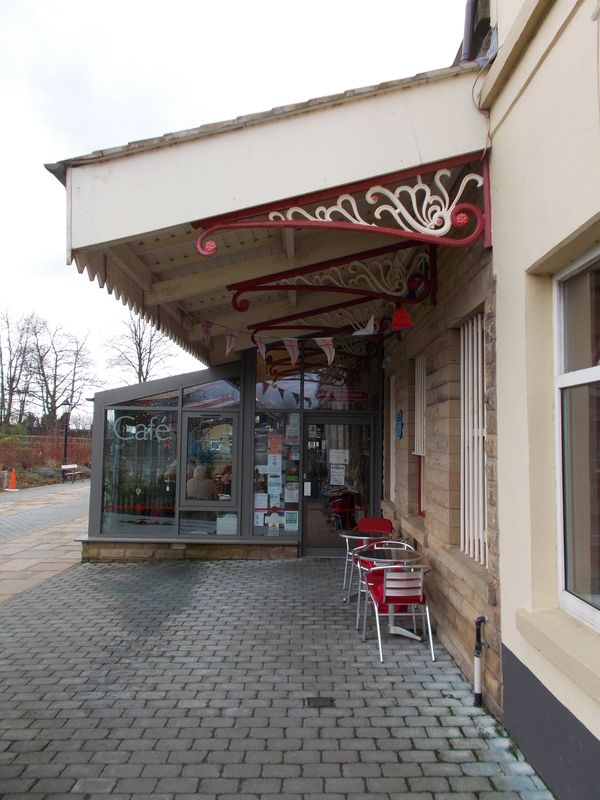 Much of the Heritage Centre archive is available online, with a wealth of photographs of Longridge, including many of the station. In these photographs, we can see that in the past the canopy of the platform extended all the way to the corner of the Towneley Arms Hotel. In other photos we can see the level crossing on Berry Road in front of the hotel, now long gone. To view the archive click the link here for Longridge station’s website http://www.longridgestation.co.uk/ and click through to the archive pages. Opening Times: The Heritage Centre is open 10 am to 4pm, Monday through to Saturday. The café is open on these days too, from 9am to 5pm. Parking: Park at the carpark next to the station, for a small fee. www.longridgestation.co.uk This website acts as a gateway for the heritage centre, archive and café. The archive is extensive, and contains documents as well as photographs of bygone Longridge. www.disused-stations.org.uk This website has a huge amount of information on disused railway stations. Just click through to find the Longridge page, in the A-Z section of stations. The website is part of the excellent Subterranea Britannica movement, that explores all things underground. A link to the work of this group can be found on the website.